Abstract: Aiming at the characteristics of varied and complex geomorphic types，crisscross network of ravines and broken terrain in high altitude complicated terrain regions，it is very important to study and find the rapid and effective land use/land cover classification method for obtaining and timely updating of land use information.Taking the Huangshui river basin located in the transitional zone between the Loess Plateau and the Qinghai-Tibet Plateau as acasestudy area，the objective of this study is to explore a kind of effective information extraction method from comparison of four kinds machine learning methods for complicated terrain regions.based on Landsat 8 OLI satellite data，DEM and combined with various thematic features，on the basis of geographical division of the study area，artificial neural network，decision tree，support vector machine and random forest four machine learning methods for land use information extraction were used to obtain land use data，and confusion matrix was constructed to evaluate classification accuracy.The results showed that the classification accuracies of random forest and decision tree are obviously higher than those of support vector machine and artificial neural network.The random forest method has the highest classification accuracy，the overall classification accuracy is 85.65%，the Kappa coefficient is 0.84.based on the above classification，Random forest classification method was chose to further classify Landsat 8 fusion datafrom panchromatic 15 meter and multispectral 30 meter image，the overall classification accuracy is 86.49% and the Kappa coefficient is 0.85.This indicated that the random forest classification method can obtain higher classification efficiency while ensuring the classification accuracy.It is very effective for the extraction of land use information in complicated terrain regions.Data fusion can improve the classification accuracy to a certain extent. Gu Xiaotian, Gao Xiaohong, Ma Huijuan, Shi Feifei, Liu Xuemei, Cao Xiaomin. Comparison of Machine Learning Methods for Land Use/Land Cover Classification in the Complicated Terrain Regions. Remote Sensing Technology and Application, 2019, 34(1): 57-67. ［1］Jia Kun，Li Qiangzi，Tian Yichen，et al.A Review of Classification Methods of Remote Sensing Imagery[J].Spectroscopy and Spectral Analysis，2011，31(10)：2618-2623.[贾坤，李强子，田亦陈，等.遥感影像分类方法研究进展[J].光谱学与光谱分析，2011，31(10)：2618-2623.] Zhao Jing，Wang Chongchang，Wang Jiahai，et al.Remote Sensing Image Classification Method based on Cloud Theory[J].Engineering of Surveying and Mapping，2014，23(12)：21-24.[赵静，王崇倡，王家海，等.基于云理论的遥感影像分类方法分析[J].测绘工程，2014，23(12)：21-24.] Oza N C，Tumer K.Classifier Ensembles：Select Real-World Applications[J].Information Fusion，2008，9(1)：4-20. Mitchell T M.Machine Learning[M].Portland：Mc Graw Hill，1997. Zhao Danping，Gu Haiyan，Jia Ying.Comparison of Machine Learning Method in Object-based Image Classification[J].Science of Surveying and Mapping，2016，41(10)：181-186.[赵丹平，顾海燕，贾莹.机器学习法在面向对象影像分类中的对比分析[J].测绘科学，2016，41(10)：181-186.] Zhang Run，Wang Yongbin.Research on Machine Learning With Algorithm and Development[J].Journal of Communication University of China：Science and Technology Edition，2016，23(2)：10-18.[张润，王永滨.机器学习及其算法和发展研究[J].中国传媒大学学报：自然科学版，2016，23(2)：10-18. ][JP] Xiu Lina，Liu Xiangnan.Current Status and Future Direction of the Study on Artificial Neural Network Classification Processing in Remote Sensing[J].Remote Sensing Technology and Application，2003，18(5)：339-345.[修丽娜，刘湘南.人工神经网络遥感分类方法研究现状及发展趋势探析[J].遥感技术与应用，2003，18(5)：339-345.] Han Tingting，Xi Xiaohuan，Wang Cheng，et al.Study on Forest Classification in Yunnan based on Decision Tree Algorithm[J].Remote Sensing Technology and Application，2014，29(5)：744-751.[韩婷婷，习晓环，王成，等.基于决策树方法的云南省森林分类研究[J].遥感技术与应用，2014，29(5)：744-751.] Yang Changkun，Wang Chongchang，Zhang Dingkai，et al.Classification of GF-1 Satellite Image based on SVM[J].Geomatics ＆ Spatial Information Technology，2015(9)：142-144.[杨长坤，王崇倡，张鼎凯，等.基于SVM的高分一号卫星影像分类[J].测绘与空间地理信息，2015(9)：142-144.] Yao Minghuang.Random Forests and Its Application to the Classification of Remote Sensing Image[D].Quanzhou：Huaqiao University，2014.[姚明煌.随机森林及其在遥感图像分类中的应用[D].泉州：华侨大学，2014.] Wang Tingting，Li Shanshan，Li An，et al.Land Cover Classification in Beijing Using Landsat 8 Image[J].Journal of Image and Graphics，2015，20(9)：1275-1284. [王婷婷，李山山，李安，等.基于Landsat 8卫星影像的北京地区土地覆盖分类[J].中国图象图形学报，2015，20(9)：1275-1284.] Xu H Q，Tang F.Analysis of New Characteristics of the First Landsat 8 Image and Their Eco-Environmental Significance[J].Acta Ecologica Sinica，2013，33(11)：3249-3257. Song Fuqiang，Kang Muyi，Zheng Zhuangli，et al.Land Use and Land Cover Classification and Verification in Northern Shaanxi Loess Plateau[J].Transactions of the CSAE，2011，27(3)：316-324.[宋富强，康慕谊，郑壮丽，等.陕北黄土高原地区土地利用/覆被分类及验证[J].农业工程学报，2011，27(3)：316-324.] Liu Yi，Du Peijun，Zheng Hui，et al.Classification of China Small Satellite Remote Sensing Image based on Random Forests[J].Science of Surveying and Mapping，2012，37(4)：198-200.[刘毅，杜培军，郑辉，等.基于随机森林的国产小卫星遥感影像分类研究[J].测绘科学，2012，37(4)：198-200.] Wang Yannan，Wang Jianjian，Gong Jianxin，et al.Detection of Coastal Tidal Flat Using the Random Forests Method and HJ Satellite Images[J].Remote Sensing Technology and Application，2016，31(6)：1107-1113.[王艳楠，王健健，龚健新，等.基于环境卫星数据的沿海滩涂地物类型分类的随机森林方法[J].遥感技术与应用，2016，31(6)：1107-1113.] [KG*5/6]Zeng Yongnian，Jin Wenping，He Lili，et al.Land Use Mapping Using Remote Sensing for Eastern Part of Qinghai Plateau[J].Transactions of the Chinese Society of Agricultural Engineering，2012，28(16)：225-231.[曾永年，靳文凭，何丽丽，等.青海高原东部农业区土地利用遥感分类制图[J].农业工程学报，2012，28(16)：225-231.] Li Jinshan.Research on Automatical Classification of Land Use/Land Cover Change in Complicated Terrain Regions-A Case Study of Huangshui River Basin[D].Xining：Qinghai Normal University，2013.[李金山.复杂地形区土地利用/土地覆被分类研究[D].西宁：青海师范大学，2013.] Jia Wei.Land Use Information Extraction for Complicated Terrain Regions from Object-oriented Classification Technique：A Case Study of the Huangshui River Basin，Qinghai[D].Xining：Qinghai Normal University，2015.[贾伟.面向对象的复杂地形区土地利用信息提取研究[D].西宁：青海师范大学，2015.] Xu Hanqiu.A Study on Information Extraction of Water Body With the Modified Normalized Difference Water Index (MNDWI)[J].Journal of Remote Sensing，2005，9(5)：589-595.[徐涵秋.利用改进的归一化差异水体指数(MNDWI)提取水体信息的研究[J].遥感学报，2005，9(5)：589-595.] Yang Shan.On Extraction and Fractal of Urban and Rural Residential Spatial Pattern in Developed Area[J].Acta Geographica Sinica，2000，55(6)：671-678.[杨山.发达地区城乡聚落形态的信息提取与分形研究--以无锡市为例[J].地理学报，2000，55(6)：671-678.] Jia Yonghong.Application of Artificial Neural Network to Classification of Multi-Source Remote Sensing Imagery[J].Bulletin of Surveying and Mapping，2000(7)：7-8.[贾永红.人工神经网络在多源遥感影像分类中的应用[J].测绘通报，2000(7)：7-8.] Hou Haiyan，Hou Jinliang，Huang Chunlin，et al.Retrieve Snow Depth of North of Xinjiang Region from ARMS2 Data based on Artificial Neural Network Technology[J].Remote Sensing Technology and Application，2018，33(2)：241-251.[侯海艳，侯金亮，黄春林，等.基于人工神经网络和AMSR2多频微波亮温的北疆地区雪深反演[J].遥感技术与应用，2018，33(2)：241-251.] Vapnik V.The Natureof Statistical Learning Theory[C]∥Springer-Verlag New York，Inc.1995：988-999. Chen Yangbo，Zhang Tao，Dou Peng，et al.Error Sources and Post Processing Method for Land Use/Cover Change Estimation of Dongguan City based on Landsat Remote Sensing Imagery With SVM[J].Remote Sensing Technology and Application，2017，32(5).[陈洋波，张涛，窦鹏，等.基于SVM的东莞市土地利用/覆被自动分类误差来源与后处理[J].遥感技术与应用，2017，32(5).] Xiong Wei，Xu Yongli，Yao Libo，et al.A New Ship Target Detection Algorithm based on SVM in High Resolution SAR Images[J].Remote Sensing Technology and Application，2018，33(1)：119-127.[熊伟，徐永力，姚力波，等.基于SVM的高分辨率SAR图像舰船目标检测算法[J].遥感技术与应用，2018，33(1)：119-127.] Li Miaomiao，Wu Bingfang，Yan Changzhen，et al.Estimation of Vegetation Fraction in the Upper Basin of Miyun Reservoir by Remote Sensing[J].Resources Science，2004，26(4)：153-159.[李苗苗，吴炳方，颜长珍，等.密云水库上游植被覆盖度的遥感估算[J].资源科学，2004，26(4)：153-159.] Shi Shilian，Zhang Wenbo，Wang Guoyan.The Measurement of Vegetation Coverage and the Analysis of Seasonal Change in Beijing[J].Remote Sensing Technology and Application，2014，29(5)：866-872.[史世莲，章文波，王国燕.北京地区植被盖度提取及其分布变化研究[J].遥感技术与应用，2014，29(5)：866-872.] Breiman L.Random Forests[J].Machine Learning，2001，45(1)：5-32. Guo Yubao，Chi Tianhe，Peng Ling，et al.Classification of GF-1 Remote Sensing Image based on Random Forests for Urban Land Use[J] Bulletin of Surveying and Mapping，2016(5)：73-76.[郭玉宝，池天河，彭玲，等.利用随机森林的高分一号遥感数据进行城市用地分类[J].测绘通报，2016(5)：73-76.] Wang Dong，Yue Cairong，Tian Chuanzhao，et al.Classification of TM Remote Sensing Image based on Random Forests of Dayao County[J].Forest Inventory and Planning，2014(2)：1-5. [王栋，岳彩荣，田传召，等.基于随机森林的大姚县 TM 遥感影像分类研究[J].林业调查规划，2014(2)：1-5.] Breiman L.Statistical Modeling：The Two Cultures[J].Statistical Science，2001，16(3)：199-215. Chen Weimin，Zhang Ling，Song Dongmei，et al.Research on Hyperspectral Imagery Land Cover Classification Method based on AdaBoost Improved Random Forest[J].Remote Sensing Technology and Application，2018，33(4)：612-620. [陈伟民，张凌，宋冬梅，等.基于AdaBoost改进随机森林的高光谱图像地物分类方法研究[J].遥感技术与应用，2018，33(4)：612-620] Zhao Yu，Wang Hong，Zhang Zhenzhen.Forest Healthy Classification of Robinia Pseudoacacia in the Yellow River Delta，China based on Spectral and Spatial Remote Sensing Variables Using Random Forest[J].Remote Sensing Technology and Application，2016，31(2)：359-367.[赵玉，王红，张珍珍.基于遥感光谱和空间变量随机森林的黄河三角洲刺槐林健康等级分类[J].遥感技术与应用，2016，31(2)：359-367.] Liaw A，Wiener M.Classification and Regression by random Forest[J].Rnews，2002，23(23)：18-22. 李长春, 徐轩, 包安明, 刘雪峰, 杨文攀. 基于FY3B-MWRI数据新疆区域积雪深度反演[J]. 遥感技术与应用, 2018, 33(6): 1030-1036. 逄锦娇,孙睿,王汶. 高分辨率影像配准误差对土地覆盖分类和变化检测的影响[J]. 遥感技术与应用, 2014, 29(3): 498-505. 唐晓燕,高昆,倪国强. 高光谱图像非线性解混方法的研究进展[J]. 遥感技术与应用, 2013, 28(4): 731-738. 赵晶晶, 李晓松, 黄慧萍, 裴亮, 吴炳方. 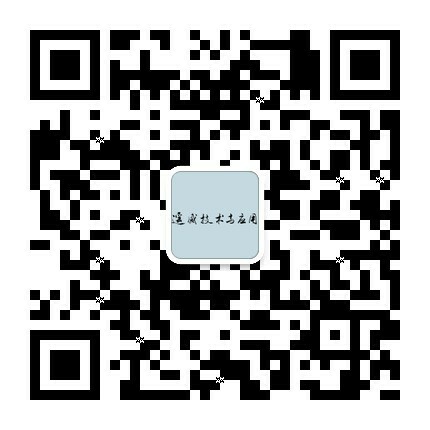 基于TM6的城市居民建筑节能研究[J]. 遥感技术与应用, 2009, 24(6): 766-771. 李娜, 颜长珍. 利用MODIS植被指数评估分水对黑河中游的影响[J]. 遥感技术与应用, 2009, 24(6): 793-796. 王彦, 李文芯. 遥感及部分相关学科SCI收录期刊介绍[J]. 遥感技术与应用, 2009, 24(6): 855-858. 高娜, 石韧, 颉耀文. 落叶松早落病危害的光谱特征及与叶绿素浓度的关系研究[J]. 遥感技术与应用, 2007, 22(6): 710-714. 姜立鹏, 覃志豪, 谢　雯. 针对MODIS 数据的地表温度非线性迭代反演方法[J]. 遥感技术与应用, 2006, 21(6): 483-487. 喻林青, 鲁安新, 冉德甫, 王丽红, 张世强. 国道214 线西藏境滑塌灾害遥感调查研究[J]. 遥感技术与应用, 2006, 21(6): 517-520. 李守波, 赵传燕. 基于能量平衡的关川河流域蒸散发的遥感反演[J]. 遥感技术与应用, 2006, 21(6): 521-526. 张　峰, 王　桥, 王文杰, 申文明, 罗海江, 刘晓曼. 美国高分辨率土地覆盖信息提取技术研究进展[J]. 遥感技术与应用, 2006, 21(6): 593-600. 王惠林, 南卓铜, 刘　勇. CLIPS 在黑河水文水资源决策支持系统中的集成研究[J]. 遥感技术与应用, 2006, 21(4): 355-358. 周小成, 汪小钦. EOS—MODIS 数据林火识别算法的验证和改进[J]. 遥感技术与应用, 2006, 21(3): 209-211. 张　媛, 何明一, 梅少辉. 基于主分量和独立成分分析的多光谱目标检测[J]. 遥感技术与应用, 2006, 21(3): 227-231.